CarnEvil Paper Snack Bowls will make creepy serving bowls for your Halloween carnival party theme. 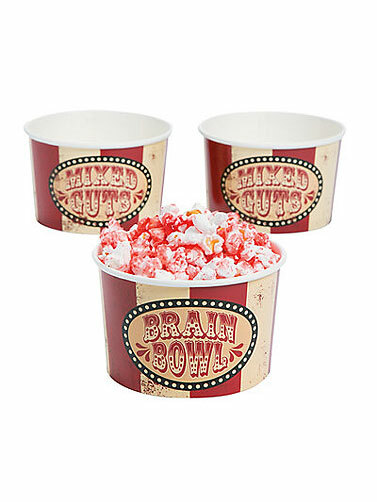 Set includes two bowl styles; Mixed Guts and Brain Bowl and both have vintage carnival stripes. CarnEvil Paper Snack Bowls measure 3"H x 4.25" in diameter. 25 Pc.